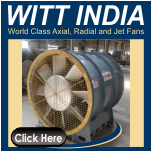 One of the most important part in an industrial fan is blade. The extreme conditions in an industry may affect the blades of a fan. These extreme conditions may not be same in all industries. So, fan blades must be made of different kind of material based on the industrial use. The hardness of a material is given by the Brinell hardness number, which is 40 and can take a load of 500Kgs. It has a tensile strength of 165MPa. The Young’s modulus of the material is 5.6GPa. The material is tested for impact strength at three different temperatures. The flexural modulus of the material is 6 Gpa. Young’s modulus is 5.1 Gpa. 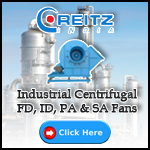 An appropriate material is used based on the requirement of industrial environment. The working life of a fan will be determined by the material of the fan blade.